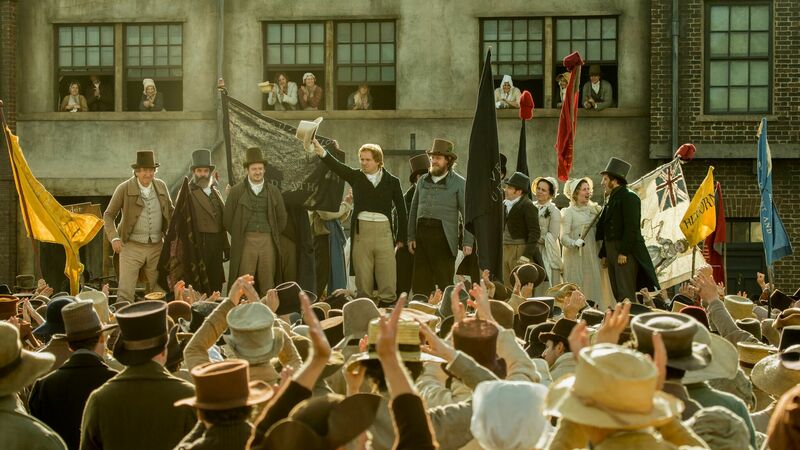 Oscar-nominated film director Mike Leigh is directing a film about the Peterloo Massacre of 1819. The Peterloo Massacre is the name given to a peaceful gathering of 60,000 people - in St Peter's Fields, Manchester – which demanded voting rights and other democratic reforms. Eighteen people are estimated to have died and nearly 700 were injured when troops cut through the crowd. The tragedy inspired Percy Bysshe Shelley to write The Masque of Anarchy. The film will star Maxine Peake (The Theory of Everything), Rory Kinnear (Quantum of Solace, Skyfall). Henry Hunt (Rory Kinnear) addresses the crowd of reformers as they gather at St. Peter's Field ahead of the traumatic events of 1819 in Mike Leigh's PETERLOO. Credit Simon Mein. 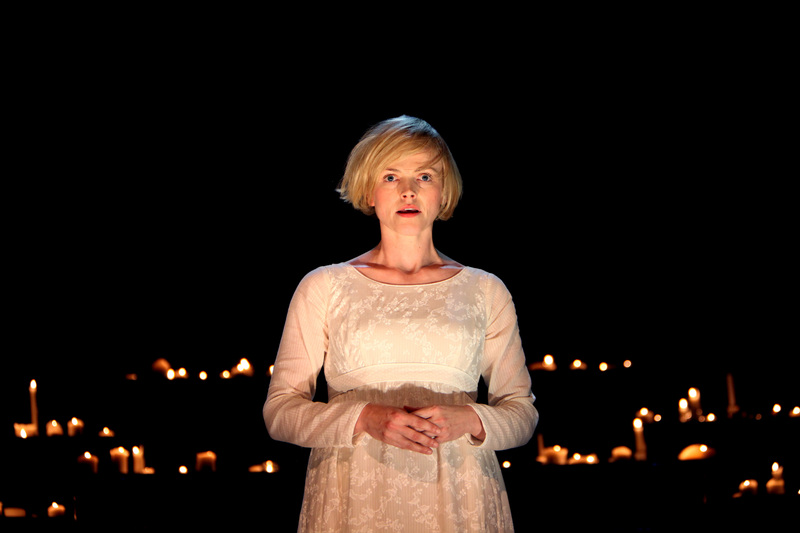 In 2013, at the Manchester International Festival (MIF), Maxine Peake gave a solo reading of The Masque of Anarchy. The candlelit performance took place at the Albert Hall on Peter Street - yards from the real events, which inspired Shelley's poem, took place. The poem ends with line "Ye are many, they are few." It castigates members of the Tory government in 1818, including Foreign Secretary Lord Castlereagh, Lord Chancellor John Scott, 1st Earl of Eldon. Turned to mill-stones as they fell." Rory Kinnear plays Henry "Orator" Hunt (1773–1835), the radical political reformer who advocated universal suffrage and annual parliaments. The decision to send in the Yeomanry (local volunteer troops) and regular troops on horseback, armed with sabres and clubs, to arrest Hunt resulted in the injuries and deaths. 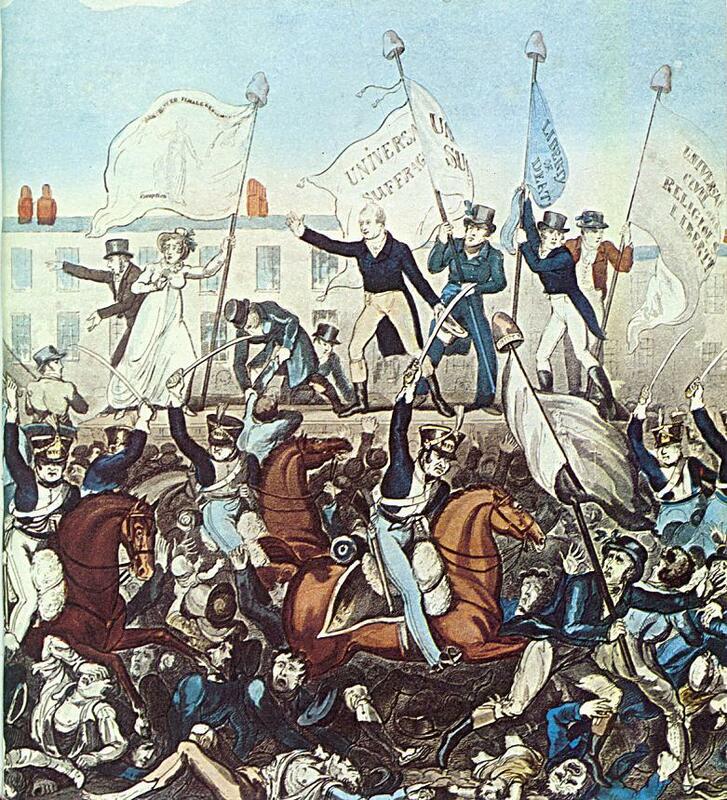 The name Peterloo was an allusion to the recent Battle of Waterloo. The war had resulted in famine and unemployment – another factor that fuelled the anger of the protestors. After the Peterloo Massacre campaigners like Manchester, cotton manufacturer John Shuttleworth (1786–1864) petitioned the government to set up an independent inquiry into the day's events. The demands were rejected by the Tory government. In 2017, former Manchester United star Gary Neville revised plans to bulldoze the Sir Ralph Abercrombie pub and build tower blocks in their place. Objections to the proposals included the pub's importance during the Peterloo Massacre - wounded protestors were taken there for medical treatment. "Mike Leigh's film is going to be a powerful way of telling the story of a chapter of history that is woven into the DNA of Manchester, but which has relevance both nationally and internationally." She added: "Maxine Peake, one of Manchester Histories' patrons and a passionate supporter of the memorials that take place each year to honour those who lost their lives in the massacre, stars in the film and Dr Robert Poole, a leading historian on the subject of Peterloo and someone we have worked with extensively, has consulted on the project; the input of such individuals combined with what Mike Leigh himself will bring, means this is a film that we await with excited anticipation." Mike Leigh was born on February 20, 1943 in Salford, Greater Manchester most recent film Mr Turner, focused on the artist J. M. W. Turner (1775–1851). '"There has never been a feature film about the Peterloo Massacre. The universal significance of this historic event becomes ever more relevant in our own turbulent times." Amazon Studios is co-financier and US distributor, with additional finance coming from Film4, who backed the film's development, along with the BFI, and Lipsync. The film will also star Salford-born Pearce Quigley (Detectorists), Philip Jackson, (Brassed Off, My Week with Marilyn), Tim McInnerny (Notting Hill, Blackadder) and David Moorst (Grantchester). Locations for filming have included the East Midlands cathedral city of Lincoln - in the Bailgate area near the castle and cathedral.